Everyone can have a dental emergency, but children are even more vulnerable. Their trusting and explorative nature make them easy targets. 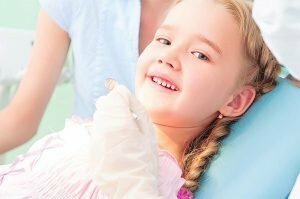 It is the parent’s job to effectively manage the dental emergency and keep your child’s pearly whites safe and healthy. Although dental emergencies cannot be predicted, you can still prepare for them. Knowledge of the right first aid steps, a calm reserve, and a trusted dentist at Yeronga are exactly what you need. Ria Family Dental offers same-day emergency appointments for your dental emergencies. Our team of highly skilled dentists and staff are well-experienced in handling dental emergencies for all ages. To properly handle a dental emergency it is important that you know the proper first aid steps. The first few minutes after the dental emergency are important to the outcome. We have listed common dental emergencies and their first aid steps. Check the aching area for any food debris. Brush and floss gently. Prepare a saline solution (1/2 teaspoon of salt to eight ounces of lukewarm water) as a mouthwash. Do not give aspirin to your child. Apply clove oil on the aching area to reduce swelling and pain. Secure the tooth. Pick it up by the crown, never touch the root. If the knocked out tooth is dirty, clean it with running water. Do not scrape, brush, or rub. If it is a permanent tooth, attempt re-implantation. If it is a baby tooth, let your dentist handle re-implantation. See your dentist within 30 minutes of the emergency. Rinse your child’s mouth throughly to remove all broken braces. Gently move the wire into place using a clean eraser end of the pencil. Do this slowly to avoid breaking the wire. Cover the ends in cotton or gauze on your way to the dentist. Understand that these first aid steps do not solve the problem. They merely help you manage before your trip to the dentist. Only your dentist can properly treat and solve your dental emergency. Ria Family Dental is your trusted dental emergency dentist for you and your family. A same day dental emergency appointment for you and your loved ones in Yeronga!